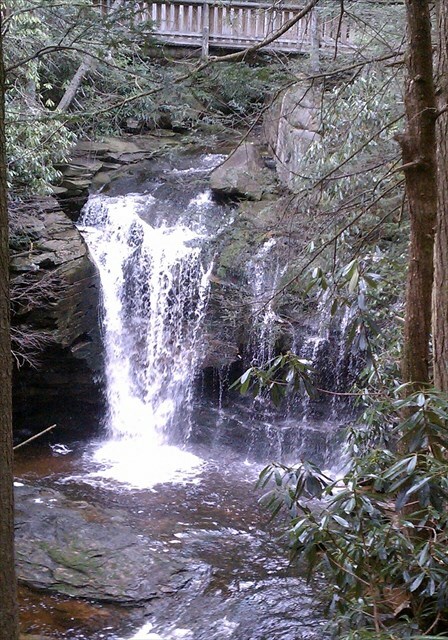 This cache is close to Elakala Falls, arguably the 2nd prettiest waterfall in Blackwater Falls State Park. It is one of a series of 4 waterfalls on Shays Run. The first is the only one accessible by a park trail. The 2nd can be reached by a well-worn foot path. To view the entire series of waterfalls, go to Pendleton Pt. Overlook and look across the canyon. The name "Elakala" comes from a Native American Massawomee legend that says a girl-shy warrior named Elakala was pursued by 2 women of his tribe and fell to his death from the falls while trying to escape them. The cache is located a little ways past the falls to minimize muggle activity. Container is a small lock-n-lock container, suitable for TBs and small swag.